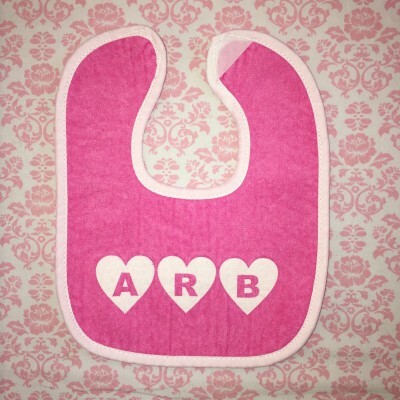 An adorable bib is always a welcome and useful gift for a new baby! This dark pink bib looks great with your choice of design in soft white flock. These cotton terry bibs measure 9" x 11", have a velcro closure and can be washed again and again.